Former Apple chief executive (1983-93) John Sculley caught the tech industry off-guard today when he revealed a pair of low-cost but sleek Android uniquely skinned, running Lollipop smartphones. The two phones, which bring to mind elements from Nokia’s Lumia devices and HTC’s polycarbonate unibody mid-range phones, are the result of a collaboration between Sculley and Robert Brunner’s Ammunition Group. 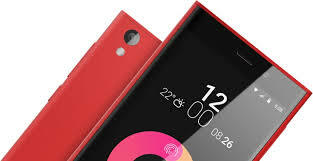 The Obi Worldphone SJ1.5 ($129) and SF1 ($199) are designed in San Fransisco, but expected to be initially launched outside the U.S. in emerging markets. This is likely in an attempt to steal some market share from players like Xiaomi and Huawei who have had so much success to date.